The text “An Inch of Time For An Inch of Gold” is the first half of a Chinese proverb, the second half of which goes “yet an inch of gold cannot buy an inch of time”. It highlights the immaterial essence of time, whose value surpasses that of the most precious material substance in the world. 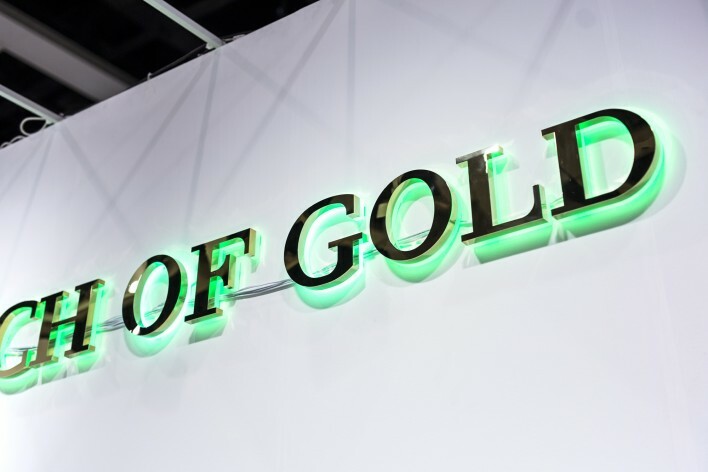 The text is displayed as a monumental statement and also as if it is a signage for the brand of such watches to put universal truth in suspension and to invoke a sense of uncertainty towards the materialization of time. 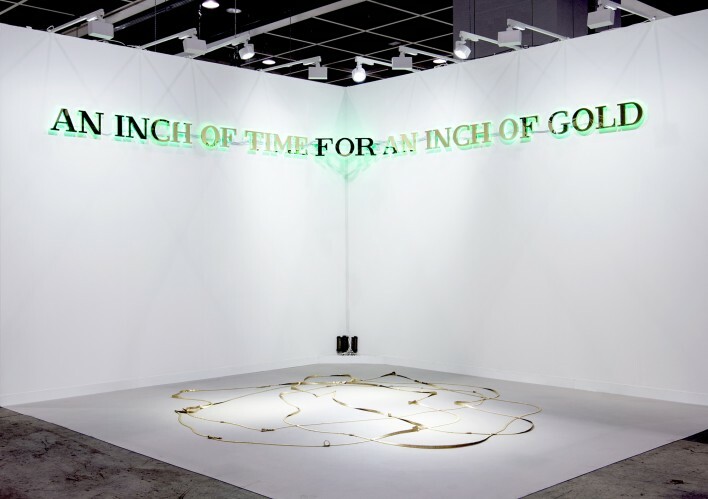 In Wong’s practice, he sees time as currency which being converted from its irrepressible form to systems that function within Wong’s manipulation. This is an absurd gesture in dealing with his predicament towards the passage of time. 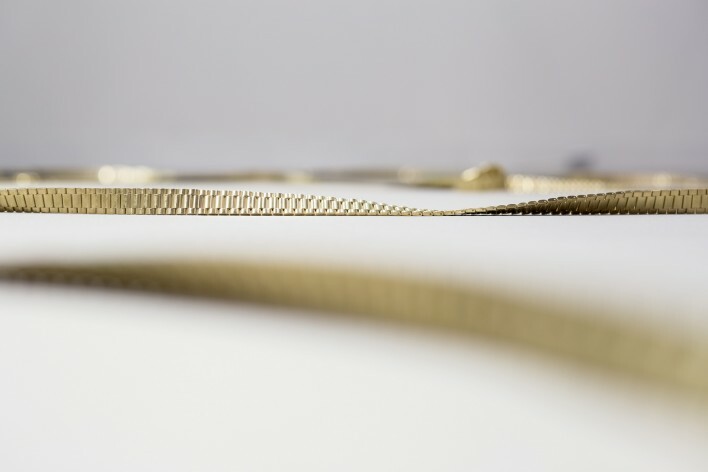 Golden watches, with bands elongated to occupy most of the floor space in the installation, reinforce the existence and the value of time in relation to its apparent lavishness. Although we understand that we cannot stop time from passing, Wong absurdly attempts in doing so by using concrete to seal the movement of time needles on the wristwatches’ watch-faces. This seems to be a futile action, which yet follows Wong’s research in temporality over the years in raising a more fundamental question of whether time passing exists at all. 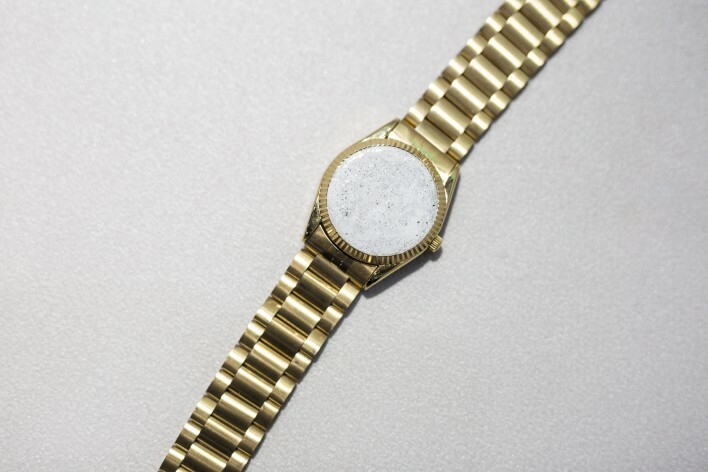 This is how the decision of using fake gold watches, instead of real gold watches, arrive in relation to the question. These fake gold watches represent apparent systems of temporality, like scientific time, perceptual time, fictional time and so forth. 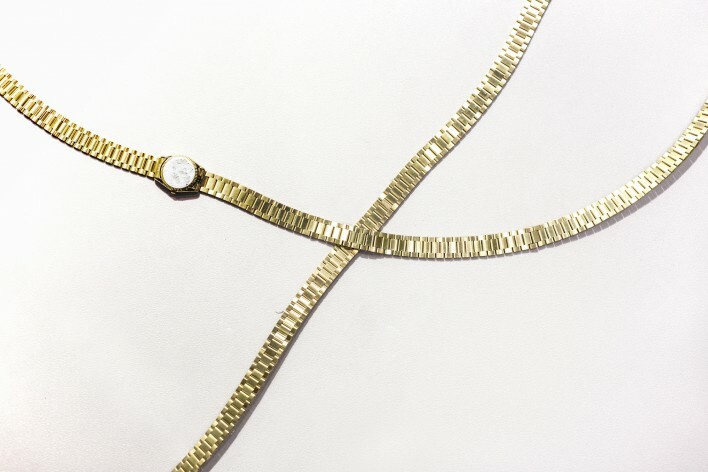 Alluding to the proverb, one chain of real gold is buried under one of the watches. However, we cannot tell where the gold is just as we do not know where time is.